Milking cows and shoveling hay—it couldn’t get any more romantic. 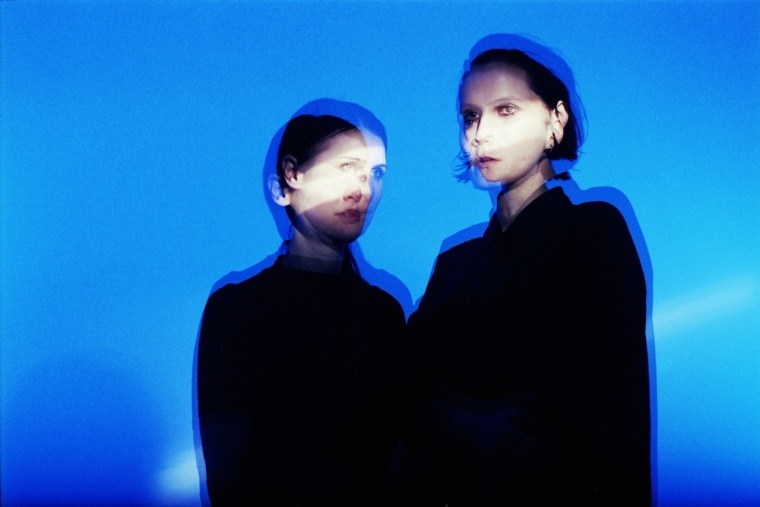 Berlin-based darkwave-pop duo Evvol have been hard at work in the studio since wrapping their European tours with both Peaches and YACHT. Today, we’re premiering the brand new short film for their single "Physical L.U.V," directed by Faraz Shariat. "We feel 'Physical L.U.V' is a pop song for 2016," Evvol wrote to The FADER in an email, "a truth-telling story about motivations and expectations, and we wanted a video to match that." “Produced in rural Germany, our short film tells the story of Luka, a genderqueer teenager whose everyday life consists of creating creamy ice-cold milkshakes in a gym and taking good care of the equipment. The story begins when Luka hitches a ride from a farmer in a tractor after work and encounters his daughter. Back at her parents' dairy farm, they experience a special kind of 'Physical L.U.V.'" The Physical L.U.V EP is set for release via !K7 Records on May 13.